Tonya has just received a phone call from Darla, an old school mate, asking her to come to a class reunion. Feeling guilty about leaving and never looking back Tonya decides to go. The reunion is all about catching up with old friends. One friend though, is quite upset with the different paths people chose after graduation. They feel it is their duty to keep the reputation of the class and school intact. Through the years they had done exactly that. Now with the reunion coming up, it is the perfect time to deal with many of the classmates in one night. It's a simple concept: They plan on using the different types of kills Tonya uses in her current book "Classmates" to make their own statement. This will take suspicion off of them and place it on what may simply be a fan of Tonya's making a point. Only the classmates themselves will know the true identity of the killer, but by then it will be too late! If you could sum up Class Reunion in three words, what would they be? It did. I liked that each chapter basically had a story in itself. Tonya, the main character of the story. There were a couple of one liners that made me laugh out loud. As for the narrative of the book, to me it sounds just like what the sample sounds like. There is a reason for the sample button and if you do not care for how a particular book sounds from its sample then move to the next one. This narrative is clear, concise and with no background noise. This audio book sounds exactly as it is portrayed in the sample. What would have made Class Reunion better? Would you be willing to try another book from Tammy Vreeland? Why or why not? 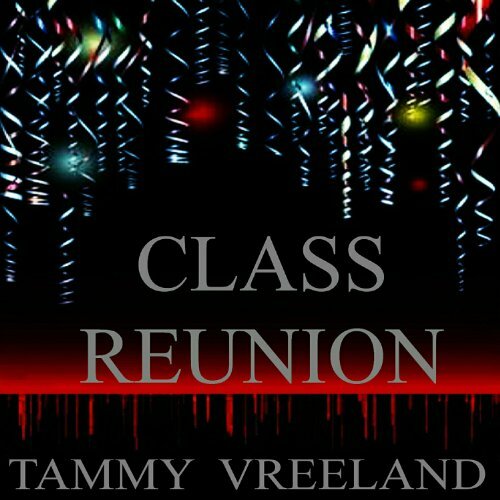 What did you like best about Class Reunion? What did you like least? The story,premise was not bad. Interesting idea.